It's hard to believe we are quickly approaching Great and Holy Week! 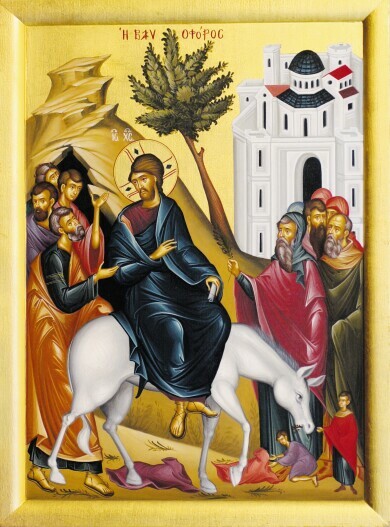 Please read below for information about upcoming events and services leading up to Pascha. 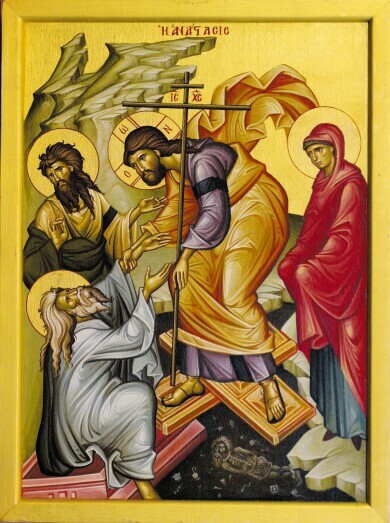 GREAT AND HOLY WEEK… AND US! 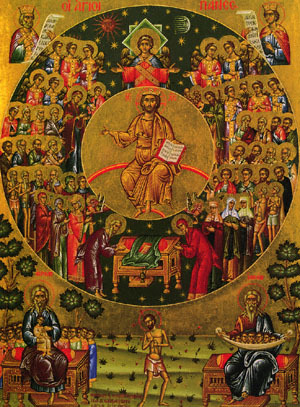 How many times have we thought of this most Holy and Sacred Week as a pious reenactment of the final days leading up to the Glory of our Lord? Yes, the services are emotional and are so rich with certain traditions and rituals, and they are some of the most attended or popular (some who never come to church attend on Holy Friday, and some come to receive the Light… though they leave right away ) services in our Orthodox Faith. Unfortunately, we may see the services of Great and Holy Week as very deep and moving historical reenactments…though it HAS THE CAPABLITY TO TRANSFORM OUR LIVES! These eight days demand more from us than to be spectators. We are all invited to be with him in all the events and, finally, to die with him mystically on the Cross. We must allow this GREAT WEEK to be that as it is! We must separate this week from the other 51 out of the year ! We must have the right focus during this week! We have to WANT to be with HIM! We must have the Cross buried into our hearts! As Christ dies for us, we too must do something! We must be His servants! We should want to give our whole self to Him who is the Source of all things. 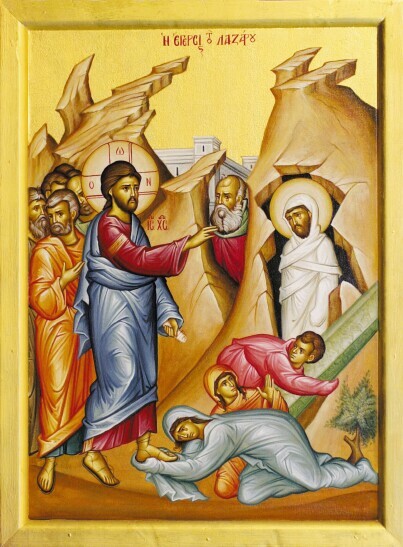 During the 40 days of Great Lent, we show discipline by fasting, prayer and almsgiving. We do this for a reason: to prepare ourselves for THIS TIME …we put our selfish desires away and only want to live for Him…and by being His examples, hopefully, in our homes, workplace, school, etc. The Greek School had a Greek Independence Day presentation and luncheon in lieu of the Apokriatiko Glendi this year. The fundraiser filled the hall and was a great success. On Friday, March 29, following the Salutation Service, we showed the film Love to the End as part of the Friday Night Lecture series. It’s a documentary on the life of modern saint, St. Maria of Paris. The church acquired a DVD copy of the film and it is available for viewing. If you have any questions or concerns or interested in getting more involved at St. Nicholas, I look forward to hearing from you. Monday, May 6 (6:30-8:30pm) Summer Wrap-Up Meeting & Potluck Dinner! Please join us for the last meeting I will be leading since my term as president is coming to an end. We will have a potluck dinner during the meeting to celebrate a great Philoptochos year so please bring in your favorite food to share! ALSO! Elections for President, VP, and the other officer roles need to be conducted during this meeting. Please let me know if you're interested in serving as a Philoptochos Board Member! May 2 – “Meet the Author”, Maria Loi, renowned chef and author of “The Greek Diet”. 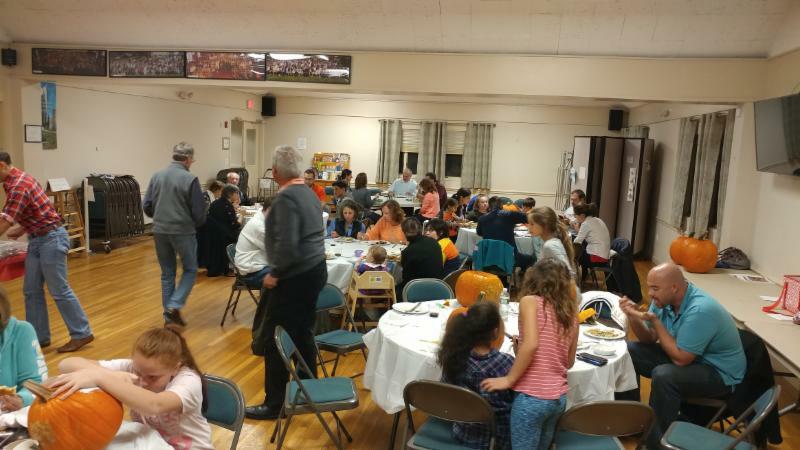 Join us at St. Demetrios Church, Weston, MA for a delightful evening of food and fun. Details to follow. THANK YOU AGAIN for everyone's help making the Talent Show a success! Please see performer photos here. Thank you St. Nicholas family for supporting the needs of your Church. Here is the latest update as of March 18th. Stay tuned for the Q1 2019 newsletter with a fun video blog you will love. Please note the Comparison dates. On March 2, the son of Ashley and Vasilis Kariolis was baptized and given the name Theodore Charles. The Godfather was Mihalis Kariolis. On March 16, Nina Sophia was baptized. Her parents are Alexander and Christina Constantine and her Godparents are Peter and Dianne Sun. On March 16, the daughter of Matthew and Samantha Thames was christened and given the name Violet Venetia. Her Godmother is Christina Thames Constantine. On January 26, the funeral of Costas John Pantazis was held here at St. Nicholas. He was the husband of Sarah Pantazis, son of Nina and John Pantazis and brother of Thanos Pantazis. 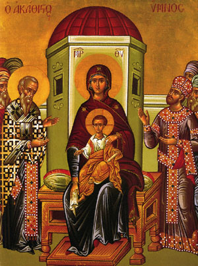 On February 26, the funeral of Thisvi Alexandrou was held at St. Nicholas. She was the wife of the late Efstratios Alexandrou and mother of Nicholas and Gabriel Alexandrou. Please check the church coat rack for items forgotten during the winter months; also, any trays, etc. in the kitchen that may belong to you. If not claimed, all items will be donated to Morgan Memorial. Thank you. A gentle reminder to all Fellowship hosts: Please keep in mind that families hosting coffee hour (children's table and main table) are responsible for clean up after completion. We appreciate your help with keeping our parish clean and treating it as your own home...because it is! Thank you. If you have not been receiving church material/mailing or emails, please contact the church office at 781-862-6453 or email office@stnicholaslex.org Thank you.